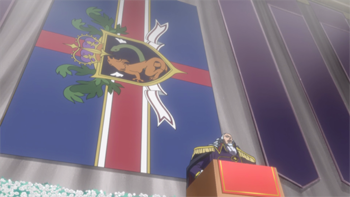 In Code Geass, the world is dominated by three major powers: Britannia, the Chinese Federation, and the EU. However, there's a fourth entity quickly emerging - the Order of the Black Knights! For those of you looking to get into the series, why not take a quick read through this article about them! The basic story of Code Geass, of invasion and colonisation by a large, foreign empire, will be a familiar one to many real-world countries. The entire premise of the series is based upon real-world events which have taken an alternate course, leading to a conglomeration of power by three world powers: the Holy Britannian Empire, the Chinese Federation, and the European Union. 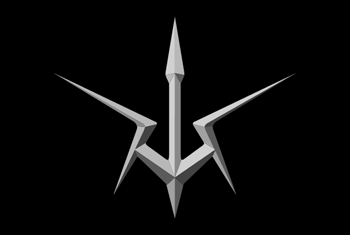 These three factions are at constant tension with one another, constantly defending their territories and seeking to take more from their opponents. But as they squabble, a fourth major power, the Order of the Black Knights, emerges from the Britannian-controlled Area 11 (formerly known as Japan) in order to overthrow Britannia. The most aggressive world power and the focus of the series. Britannia is a powerful, militarised empire which occupies the landmass we know as the Americas (North America, South America, and Canada). It has conquered numerous countries in its efforts to expand its territory, placing it in constant conflict with its fellow world powers. In total there are eighteen Areas under Britannia's rule (including Japan, relabelled 'Area 11') by the start of the series. Although Britannia occupies the American landmass in the present day, its origins were the British Isles. Certain key events happened differently to our history in order to bring this about: Washington's rebellion and the war for American independence did not succeed - they were suppressed. Thus when the French Revolution took hold of Europe, the British imperial family fled across the sea to its recently neutralised American colonies in order to escape. The old Britain became part of the European Union while the country we know as the United States expanded and became known as the Holy Britannian Empire. "The world lies. 'Do not kill. Do not steal. Do not deceive. Do not be unfaithful.' All of it is a lie, nothing but a deception. 'I don't want to be killed. I don't want to be robbed. So I will protect my weak self with these lies of justice and morality.' Survival of the fittest is the only truth. We'll devour it all: people, wealth, authority - the entire world! We, Britannia, must break the world's lies and bring forth the truth. All hail Britannia!" The need to conquer and 'survive' conflicts is likely a contributing factor towards Britannian arrogance, particularly towards the citizens of the countries they have defeated. However, this ruthless mindset is what caused Lelouch, a Britannian prince, to reject his title and eventually launch a rebellion against the Empire. A world with no room for the weak would not have allowed someone like his wheelchair bound sister, Nunnally, to survive. The irony of his actions is that, by entering into a war with Britannia, he ends up practising the very same 'survive or die' mentality. Conflict and discrimination aside, Britannia appears to be a rather peaceful country. It is technologically advanced, makes use of renewable energy sources to power its cities, and ensures its citizens enjoy a comfortable life. 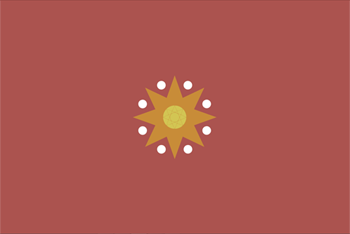 Any unrest which occurs stems from its brutal manner of subjugating other territories, but by all accounts, the Empire prefers to allow conquered lands to govern themselves once said unrest has settled. The Chinese Federation is the second major superpower. They occupy mainly the Asian continent, with territory spanning Central Asia, South Asia, Southeast Asia, and East Asia (except Japan). Although there is an empress, she is mostly a figurehead. The true holders of power are the council of High Eunuchs. Like Britannia, the Chinese Federation appear to be based upon an older, historic form of Chinese governance. No clear details are given as to the Federation's development - however the presence of the High Eunuchs is a call-back to the time of our Han Dynasty, when palace eunuchs were beginning to play a part in court politics and attempt to influence clans of empresses. In our history, this led to the eventual downfall of the Han Dynasty, but it appears no such thing has happened to the Chinese Federation. Additionally, the capital, Luo Yang, is where the Federation's palace lies. Luo Yang was the capital for much of the Han Dynasty. The Chinese Federation has a significant military presence. Their power rivals that of Britannia but they prefer to use political manoeuvring in order to try and level influence within the empire. Despite internal unrest later in the series, they are capable of repelling Britannian attempts to take advantage of it. Code Geass' European Union is almost exactly like the EU of our world. As the name suggests, it comprises of the majority of the European continent, and also has control of Africa as well as half of Russia. The French Revolution, which spread from France through much of Europe, is responsible for the abandonment of the aristocracy and the implementation of a democratic system in its place. Due to their democratic principles, the member-states of the EU all maintain their own individual armies and are likely granted complete autonomy over their affairs. Representatives from each state form a council which decides upon Union-wide matters. As can be imagined though, it is difficult for the states to work with any degree of efficiency due to internal disagreements. In comparison, sovereignties such as Britannia and the Chinese Federation benefit from possessing singular authorities when it comes to military matters. As far as military power is concerned though, the EU is capable of matching Britannia. Their steady loss in territory is more likely due to a lack of cohesion as opposed to any lack of armed might. Together with the Chinese Federation and a previously neutral Japan, the EU attempted to instigate a naval blockade against Britannia to force negotiations before the start of the series. Britannia disrupted this by invading and conquering Japan, but it does show that the EU have significant power. 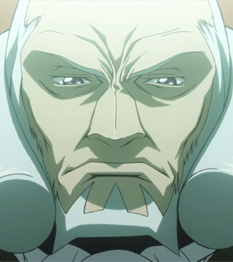 The Black Knights are formed after Lelouch adopts the identity of an anonymous, masked man known as 'Zero'. Initial members comprise of various Japanese resistance groups, but the group soon grows to encompass some Britannians and foreign allies. They are an independent military force whose purpose is not merely to reclaim Area 11 as Japan, but to become a power which stands against all injustice. 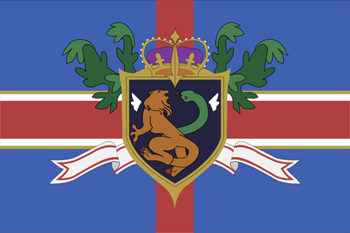 "We, the Order of the Black Knights, are the allies of all those who hold no weapons, be they Elevens or Britannians. (...) When those with power attack those without, we will appear once again, no matter how great the enemy's strength is. Those with power: fear us! Those without power: seek us! We, the Order of the Black Knights, shall judge the world!" 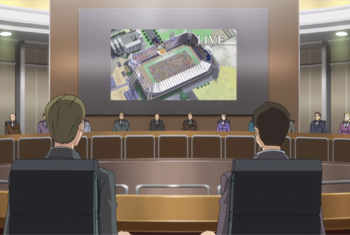 The organisation manages to flourish on funding and arms support from the Six Houses of Kyoto - a conglomerate of families which Britannia left in charge of managing Japan's main industries and economy after the country's takeover. They produce Knightmares for not only the Black Knights but other major resistance groups which have proven to be of significant threat to Britannia. 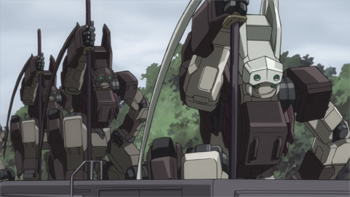 Kallen's Guren and the Japan Liberation Front's Burai models are both made by the Kyoto Houses. As the Black Knights power and traction grows, the Kyoto Houses' support becomes more open and generous. Although the Black Knights are known to be an effective military group, they are heavily reliant upon Zero's masterful strategies and battlefield tactics. Despite implementation of a command structure, the organisation is quick to fall apart when Zero does not or is unable to give them precise orders. This is because very few of its members have any sort of familiarity with prolonged war. Until Zero's arrival, they depended upon guerrilla tactics to harass Britannia. In the wider scheme of things, it appears that the Black Knights are meant to reflect the United States' attempt for independence. Zero even forms what he calls 'the United States of Japan' later in the series, with the Black Knights as its armed protector. When one considers the emphasis on military might and their alignment with 'justice', it's hard to ignore the similarities between them and the USA. Neo-Tokyo, the setting of the 1988 film Akira, is one of anime's most iconic environs. Let's take a closer look at the city that helped bring anime to the West. 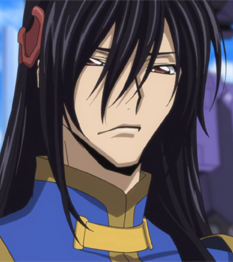 Code Geass is a wildly popular anime and a member of the mecha genre. 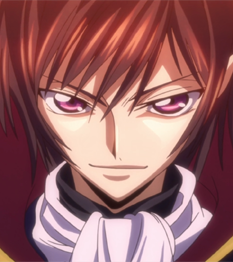 One of the things that makes this series unique is its main character, Lelouch Lamperouge. 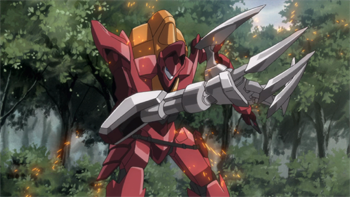 Let's take a look at what sets this show apart from your typical, everyday mecha anime. What You Need To Know About A Certain Magical Index! What makes Toaru Majutsu no Index (A Certain Magical Index) so fun to watch? This analysis breaks down the setting, uniqueness, and qualities of the anime so that you can understand just why you get pulled into its world and don't want to leave.